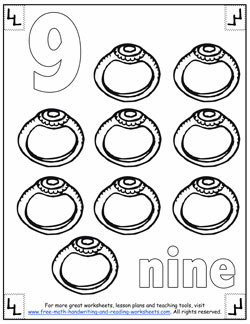 These number coloring pages are a great resource for teaching your child about the numbers one through ten. 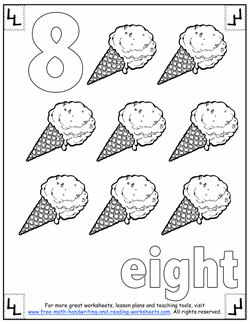 Understanding the abstract concept of numbers is made easier with these coloring pages which give concrete examples of each number. 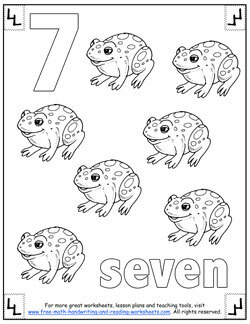 There are lots of ways to use these worksheets alongside lesson plans and daily counting activities. In our house, we have our youngest child tell us the number and then count aloud the objects on the page. 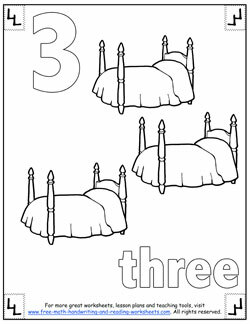 You can also show your child how to spell the number. Say the name of each letter and make the letter sound as your child colors it. When you're introducing numbers to children, the chances are that they don't spell very well. This is a great time to start working on spelling and letter sounds too. Say the number, spell it, and sound it out. Multi-task! 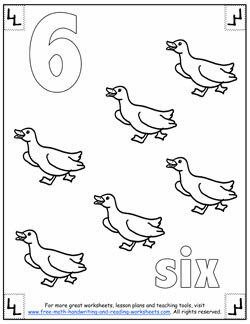 You can find more help with teaching the alphabet and learning letter sounds in the related lessons section at the bottom of this page. 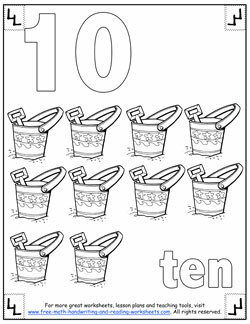 You can do so many things with these worksheets. I gave you a few ideas above, but get creative. 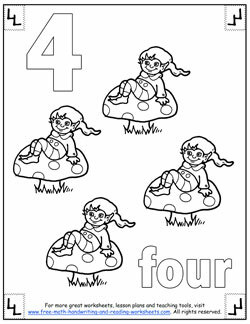 Talk about the objects on each coloring page. 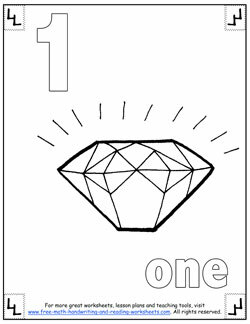 The diamond in the first sheet is a great opportunity to bring up shapes. The animals in later papers would be perfect for talking about animal sounds. 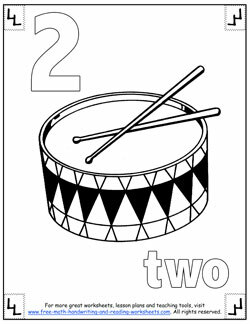 While you're talking about sounds, grab some pots and pans from the kitchen while working on the drum (two drumsticks) worksheet. 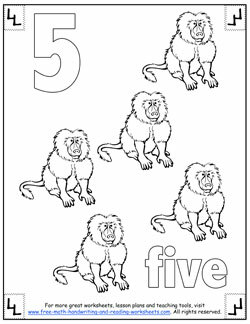 Be sure to check out the similar lessons below for more numbers worksheets, coloring pages, and counting games.